Because giant robots are serious business. This post was inspired by my final push to finish Martian Successor Nadesico, a mecha show involving rather more harem hi-jinks than mechs but which manages to be consistently awesome. I would make the modest proposal that the Aestivalis is one of best representations of ‘real robot’-style mecha in anime. One might find this claim unusual, given that Nadesico is far from gritty or realistic. Nevertheless, despite the light-hearted tone, the series’ depiction of giant robot warfare is leagues ahead of, say, Gundam. The mechs themselves are as realistic as we’re going to get from a Japanese anime not called VOTOMS. 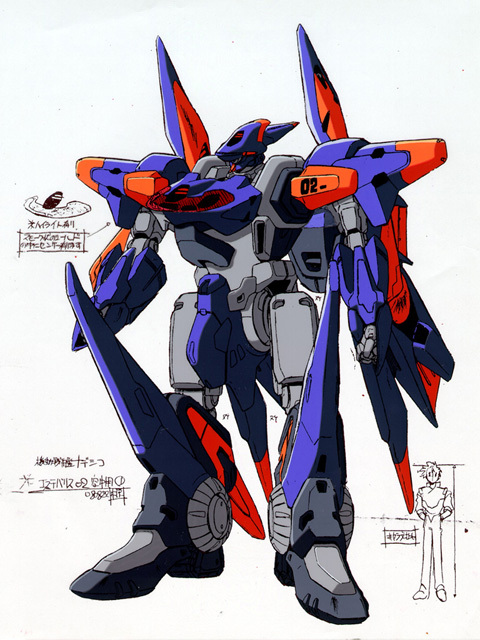 Every Aestivalis is essentially the same body with minor variations in colour scheme and head design. 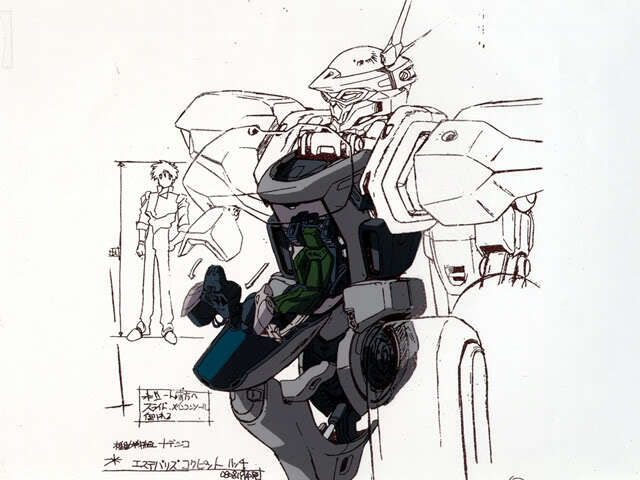 This means that spare parts are universally interchangeable and reduces the cost of repair; compare with Zeta Gundam, where the carrier Argama fields at least four radically differing mech designs requiring a multitude of replacement parts. 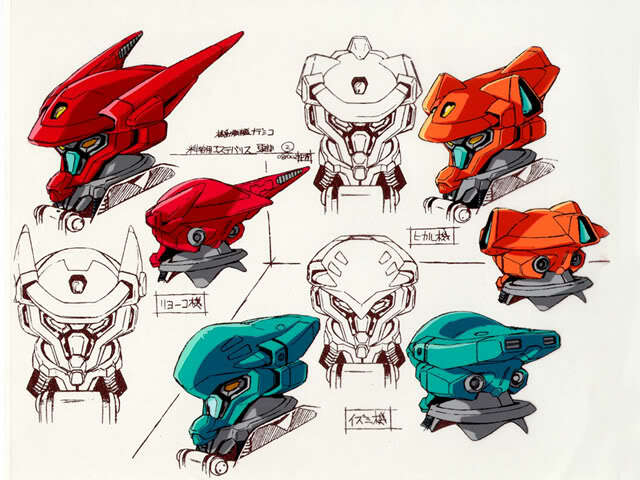 Furthermore, the Aestivalises (/m/ suggests that this is the correct pluralisation but I honestly don’t have a clue) can be equipped with various frames to suit any battlefield (the main ones being zero-G, aerial, artillery and terrestrial). This isn’t exclusive to Nadesico (Gundam SEED‘s Striker Packs come to mind) but the series shows the true usefulness of frame technology. Whereas frames are often limited to one or two MSes, all Aestivalises can equip them. 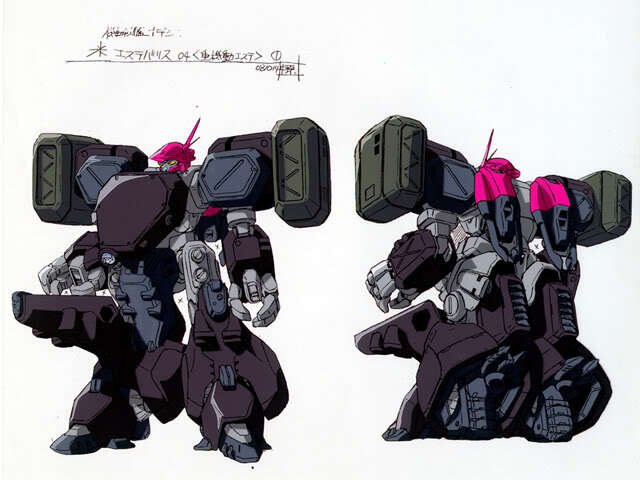 This gives them unparalleled versatility: for example, as we see in episode 11, three units can be fielded in the relatively nimble terrestrial frame to act as escorts for two units with artillery frames. 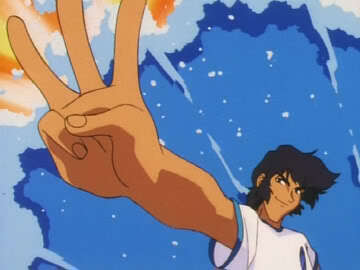 However, the presentation of the mechs also lends to a realistic atmosphere. The majority of the pilots are trained professionals; even Akito, while not initially a soldier, has experience with mobile machinery and his early piloting is far from spotless. The mechs aren’t sentimentalised; they aren’t even given individual names and their pilots treat them more as dumb machines than even most Gundam protagonists. Of course, this realism is completely overturned by Gai Daigoji who, like Ryusei and his R-1, pilots a real robot like a super robot with all the fancy attack names and hotblood that it entails. And we love him for it. This entry was posted in Thoughts and tagged aestivalis, giant robots, martian successor nadesico, mech, mecha, nadesico, real robot. Bookmark the permalink.